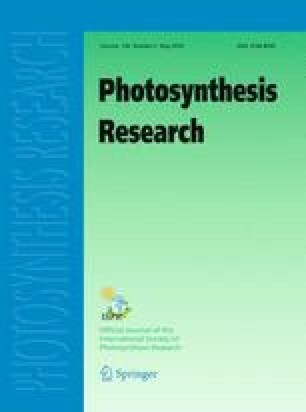 Current models of C3 photosynthesis incorporate a phosphate limitation to carboxylation which arises when the capacity for starch and sucrose synthesis fails to match the capacity for the production of triose phosphates in the Calvin cycle. As a result, the release of inorganic phosphate in the chloroplast stroma fails to keep pace with its rate of sequestration into triose phosphate, and phosphate becomes limiting to photosynthesis. Such a model predicts that when phosphate is limiting, assimilation becomes insensitive to both CO2 and O2, and is thus incapable of explaining the experimental observation that assimilation, under phosphate-limited conditions, frequently exhibits reversed sensitivity to both CO2 and O2, i.e., increasing O2 stimulates assimilation and increasing CO2 inhibits assimilation. We propose a model which explains reversed sensitivity to CO2 and O2 by invoking the net release of phosphate in the photorespiratory oxidation cycle. In order for this to occur, some fraction of the glycollate carbon which leaves the stroma and which is recycled to the chloroplast by the photorespiratory pathway as glycerate must remain in the cytosol, perhaps in the form of amino acids. In that case, phosphate normally used in the stromal glycerate kinase reaction to generate PGA from glycerate is made available for photophosphorylation, stimulating RuBP regeneration and assimilation. The model is parameterized for data obtained on soybean and cotton, and model behavior in response to CO2, O2, and light is demonstrated.